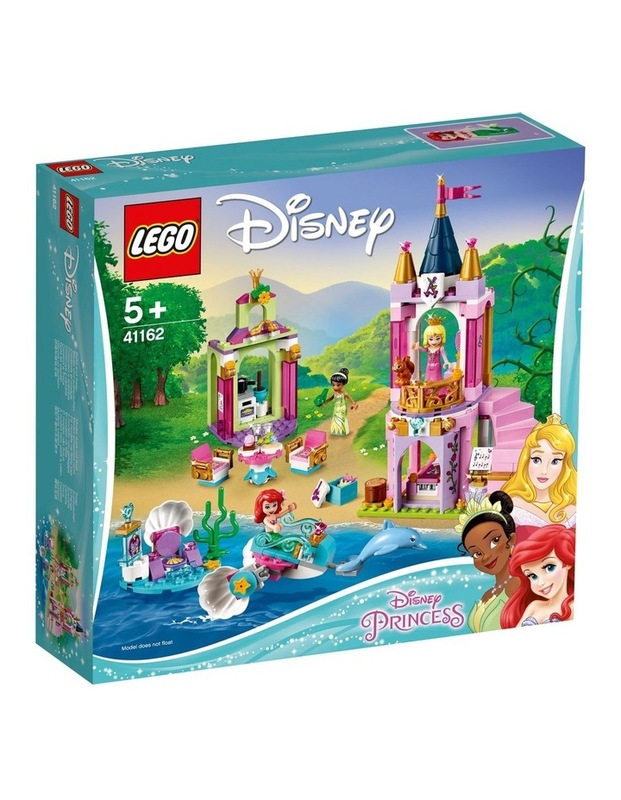 Play with 3 of your favorite Disney Princesses in this very special LEGO | Disney set. Use the turning figure to help Princess Aurora dance on her castle balcony. 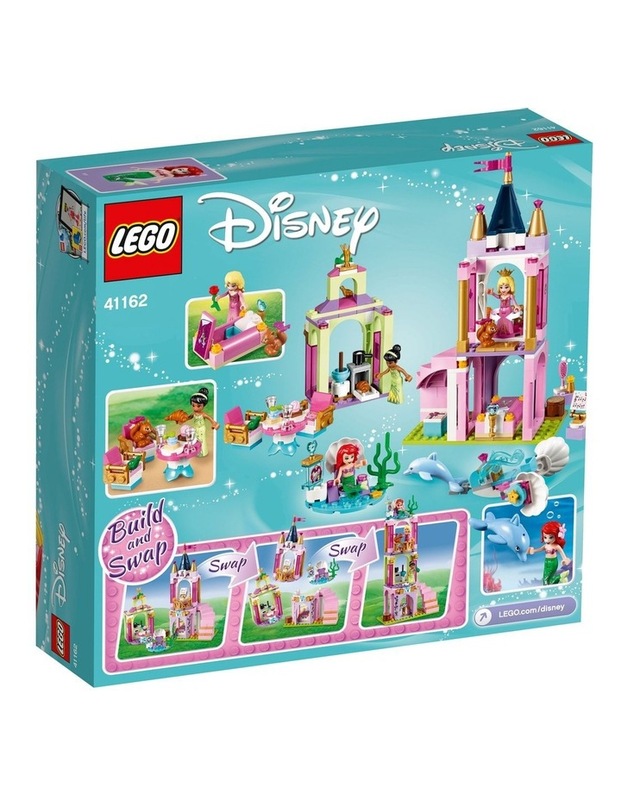 Take Princess Ariel for a spin in her underwater clamshell carriage. Then bake croissants for the restaurant with Princess Tiana and her frog friend. 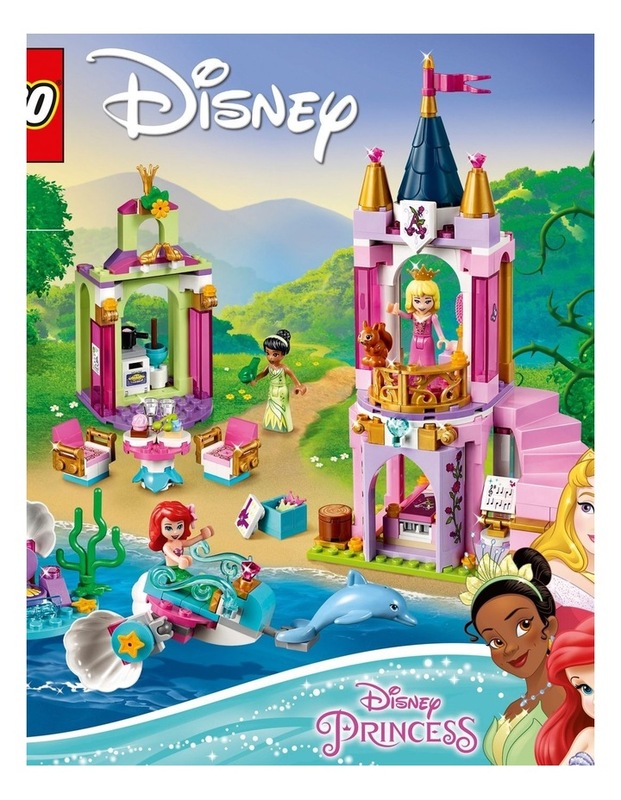 Imagine all the adventures you can create with these inspirational princesses, as they explore each others worlds!